16D. Decent seat. Nothing special. Just another seat on another plane. It’s been my routine for many years. Drive a bit. Ride a bike for a while. Drive some more. Get on a plane. Repeat. Since my first trip at the Tour de France in 2005, Trek Travel has been my primary source of income. Even when I was out with injury, working for other companies, or just taking a hiatus, when people asked what I did, I told them I worked for Trek Travel. Seat 16D, this one’s on you. Don’t blow this for me. I found my home in Spain. It’s on a bike. I’ve struggled for a long time with the fact that I haven’t been able to find the thing that will allow me to share the affinity that so many of my friends seem to have for Spain. So many of my friends love it here, speak fondly of their time here, reminisce about places that I’ve felt no connection with. I’ve made some good memories in Spain, but they’ve been fully about the people I was with, and seemed to be in spite of Spain, rather than because of it. I’ve spent most of my time in Spain in the Girona and Costa Brava area, and a little time in Barcelona. I was thinking I’d have to explore other parts of Spain, because I just didn’t see it. I couldn’t find anything here that I connected with, the roads, buildings, and people were nothing but objects, with nothing behind the facade to connect with. After two weeks here, I was resigned to just get through my time, hammer out my hours in the warehouse, and go home. Late last week I finally got to a point where after hours and hours in the warehouse, surrounded by bikes, on days that could be described as no less than perfect riding days, I just had to get out on a bike. I finally found that thing that allows me to connect with Spain. It shouldn’t come as a big surprise, I found it from the seat of a bicycle. I had a perfect ride that day. I felt at home. It’s still the only connection I feel with this place. When I’m not on the bike, I still just go through the motions. I’m still not enamored with Spain, but I have something to build on. Maybe someday this place can feel like home, too. I. Love. My. New. Job. I spent the last ten days in Colorado for Urban Assault Rides in Fort Collins and Denver. This is the first opportunity I have had to see the full workings of the Urban Assault Ride. My first go round with the event was in Madison, where I was just a volunteer, and while I was around for the whole weekend, I wasn’t looking at the event from a big picture perspective. Then I got the call with a job offer to go to the events as the event MC. In June I flew down to Austin for the ride, got my first chance on the microphone, and started to understand what Urban Assault Ride is all about. Then a few weeks passed before this trip to Colorado, and I still hadn’t really been able to find a groove. This week I finally got it. I started to build some camaraderie with my new co-workers (having worked for so many years with Dan at Trek Travel definitely made that transition easier). I took a bit more of the lead on stage at Fort Collins and basically ran the show at Denver. I’m getting more comfortable on the microphone and figuring out what needs to be done, as well as finding my own way of doing things that still fits within the vision of the owners of the company. It’s been a long time since I was on a stage or in front of a microphone. I’ve spent years talking to groups of 15-20 a Trek Travel, with the occasional gathering of 50-60 at a wind and cheese night or bike expo. To jump up on a stage in front of 1,500 people, though, is something totally different – and I LOVE it! The crew at Adventure Fit is awesome to work with, and Urban Assault Ride is such a great event, traveling around the country inspiring people to ride their bikes, supporting local advocacy groups, and drinking beer along the way. I love being a part of it. I wrote up a press release of sorts for people who want to share some information on the Road ID fundraiser for Ryan. Copy, paste, and share at will. Thank you. Ryan DeRoche, my friend and colleague, was badly injured in a mountain bike crash in Spain in March. He wasn’t doing anything out of the ordinary. 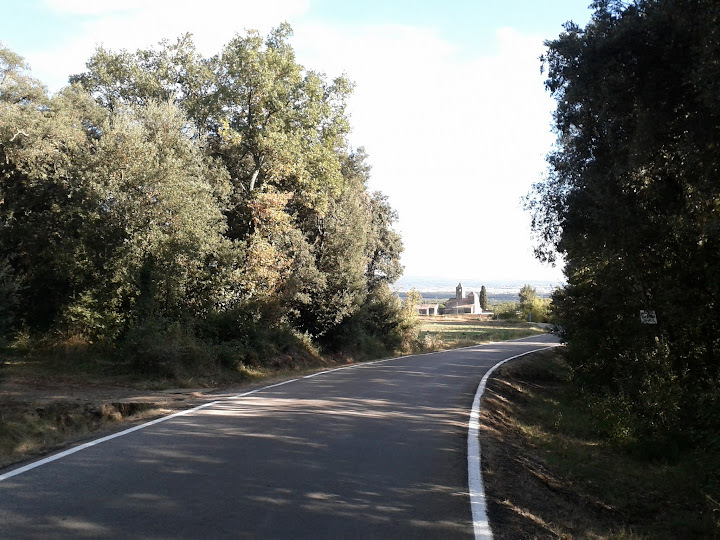 He was simply commuting home from work, riding his mountain bike along a footpath near the city of Girona. His front wheel got hung up on a rock or root, and he went over the handlebars. His neck hit the ground first, and he shattered his C4 vertebra. He is now in a rehab facility in Boston, Massachusetts, working toward someday walking again. In a way, Ryan was very lucky. He didn’t hit his head in the crash, and when he was found, he was able to tell the person who found him who to call and how to get in contact with his friends in Spain. Not everyone who experiences an incident, whether in training, commuting, or just out for a spin or run around the neighborhood, is so lucky. If you have an accident and aren’t able to speak for yourself, who will? The Road ID website doesn’t look any different when you click through that link, but there is a referrer tag built into the link that will assure that your purchase gets credited to my account and passed on to Ryan’s recovery. A few weeks ago I teased a series of blog posts called “I Ride For The _____.” Without further ado, the first installation. Freedom – there’s nothing like the freedom of two wheels. Exploration is so much easier on the bike. It’s easy to sneak down an alley, cut between buildings and roll down some stairs. I can pull off suddenly for a closer look at something when I’m on a smaller, more agile machine.There’s freedom in pulling off to snap a photo, a photo of something I’m more aware of because I am a part of my surroundings, rather than isolated from them behind a windshield. There’s freedom in stopping to read the historical or geological information on a roadside plaque or sign, because I don’t have to slam on my brakes and lose what feels like precious seconds on the road. When I’m already moving slower, there’s less urgency in maintaining a high speed. On a bike, a road closure isn’t an inconvenience, it’s an excuse to explore a street or neighborhood I’ve never ridden. There is freedom in rolling up the bike lane during rush hour when others are sitting still, trapped in their cars. On my bike, my route is seldom pre-determined. Each 4-way stop sign isn’t an impediment that slows me down, it’s an opportunity to change course, a decision about where to go next. There is freedom in saying “Wow, I don’t think I’ve ever been on this street before” in a city I’ve called home for over ten years. I ride for the freedom. It’s my favorite time of year! I rolled myself out of bed this morning, stumbled to the kitchen, poured a cup of coffee, and worked my way to the couch. There is very little variation in that routine from my normal mornings, except this morning instead of turning on The Current, I flipped on the television and tuned into Versus. Unlike so many years in the past, I’m able to watch the Tour de France with a cup of coffee in my hand. While I’ll miss feeling the rush of the peloton as it passes, watching attacks and counters, and seeing the suffering up close an in person as the sprinters try to make their way over the Alps, I am excited about being able to watch an entire day’s coverage, rather than a few seconds as the race flies by. If you watch this year’s Tour, you’ll see many advertisements for one of my favorite products – Road ID. I’ve written about the importance of wearing a Road ID in the past, telling the story of my friend Ryan’s bad accident in Spain earlier this year. Ryan is now in a rehab facility in Boston, Massachusetts, where I was able to visit him earlier this month. He is progressing well, but has a long ways to go. Last weekend, his sister hosted a benefit ride and silent auction, which I was disappointed not to be able to attend. This blog is part of the Road ID affiliate program. I will be donating every penny of my proceeds from RoadIDs purchased from this site or the link listed below during the 2011 Tour de France to Ryan’s Road to Recovery. If you’ve been thinking about buying a RoadID in the past, whether for yourself or for a friend or family member, now is the time. Protect yourself or your loved ones, and help Ryan on his road to walk again. There are three parts to this lesson. First is the very literal translation. A clean bike actually does work better. Multiple times I’ve had someone bring me a bike that does not shift well, and I’ve taken some degreaser and a rag to the drivetrain, followed it with some lube, and had a wonderfully shifting bike, without a single adjustment. Braking works better on clean rims. Clean cables glide smoother. A clean bike just works better. The second is just a perception thing. Let’s say you brought me your bike filthy and working terribly. I could tune it to absolute perfection, but if I didn’t clean it up a bit before I handed it back to you, you wouldn’t think I’d done anything, and you’d convince yourself it didn’t work. Even if it was working perfectly, the power of perception is a strong one. The final, and to me the most important, piece of the puzzle is the flashiness factor. If you walk into your garage, your basement, your living room, your kitchen, wherever you keep your bike, and see a shiny, perfectly tuned bike sitting there, you’re going to get excited about it and want to go ride it! It’s like the honeymoon period you experience when you first buy a new bike, and you are super excited about it, and you want to go ride it every chance you get. You can extend that honeymoon by keeping your bike clean. I’ve met many cyclists over the years that treat mud like a badge of glory. It’s especially bad amongst mountain bikers and cross racers. They feel like a mud caked bike shows that they’ve been out in it, getting dirty, having fun. They treat the mud like a fashion accessory. It’s ridiculous. It’s just not good for your bike. Dust, dirt and mud can wear through a seal on a bearing or a shock or shred through a drivetrain in no time. Showing up to the trail with a bike covered in dust or mud isn’t cool. LEAVING a trailhead with a dirty bike is. So wash your bike. Take it out back with a bucket of soapy water and a hose. Take it into the shower with you. Whatever you need to do to keep it clean, working well, and exciting to ride. And with that, I have to go clean my bike. In March my whole plan for the year changed drastically as the life of one of my good friends at Trek Travel changed in a way I cannot even imagine. Ryan was lying in a hospital bed in Spain, and I was scrambling to make plans to get back to Madison. I spent April and most of May working 80-100+ hours a week, but Ryan worked even harder. He’s now in a rehab center in Boston. I came across this article today about his road to recovery. Please keep Ryan in your thoughts and prayers – and wear your Road ID. I’ve spent some time thinking about this one. Assuming anything with legs has already escaped the building (“If you’re flammable and have legs, you’re never blocking a fire exit.”), and assuming I’m wearing pants (and therefore have my wallet, keys, and cell phone), I could get out with one item, my Timbuk2 Messenger Bag. This bag has more sentimental value to me than just about any other object I own. I’ve had it since my early days at Penn Cycle, and every trip I’ve been on since 2004, everywhere that Trek Travel has taken me, that bag has been along. On any given day, there could be any number of things in that bag, but a few things are ever present: my computer, and external hard drive – that have all of my writing, all of my photos, and all of my music; and a camera. The funny thing though, is even if I couldn’t get out with that one item, I wouldn’t really be missing much. Just about everything I have that is important to me is backed up to the cloud somewhere. Photos to SmugMug, writing to DropBox or some blog somewhere, music to Google and Amazon. This would have been a much more difficult question to answer ten years ago, when my important photos were still in a desk drawer, and all of my writing was in notebooks scattered throughout my house. Check out the Gizmodo story. Check out his inspiration – The Burning House. What would YOU save if YOUR house were burning down?